Why You Need Pay for Their Bad Behavior? 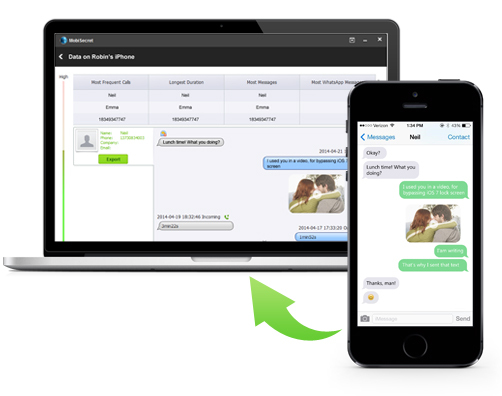 Does your spouse have a sudden need for privacy: set iPhone password, hide cellphone bill,etc. 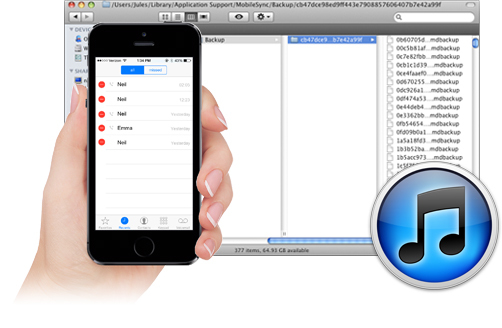 Quickly scan the iPhone and recover all text messages, call log and WhatsApp deleted by accidentally or on purpose. 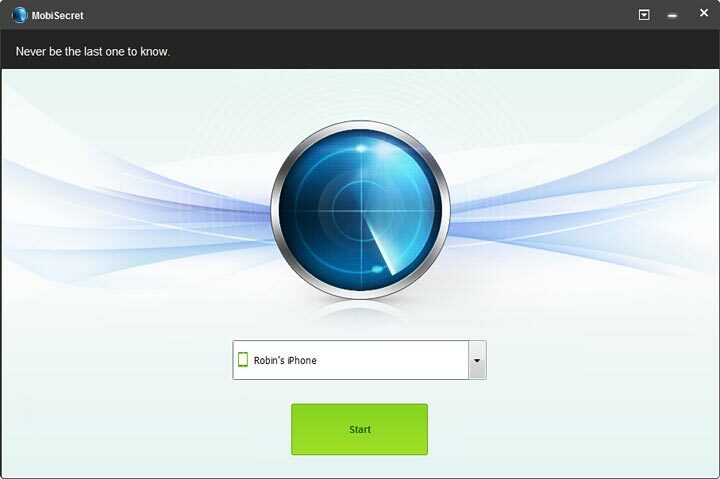 With this reliable and user-friendly tool, you can easily detect your spouse or children’s erased iPhone details. 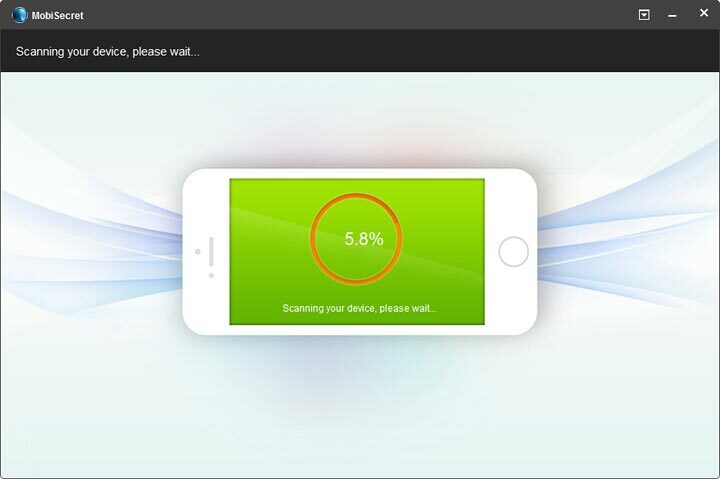 Mobisecret can get access to any targeted iPhone you get. Better yet, it also applies to iTunes backup. 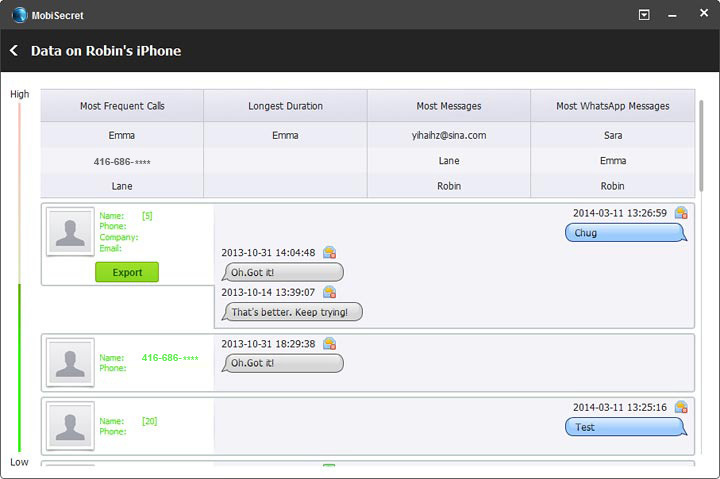 Highline Suspicious contacts: Despite contacts exist or deleted from iPhone, Mobisecret will find out and rank the suspicious contacts in the light of content, call duration, deletion record,etc.